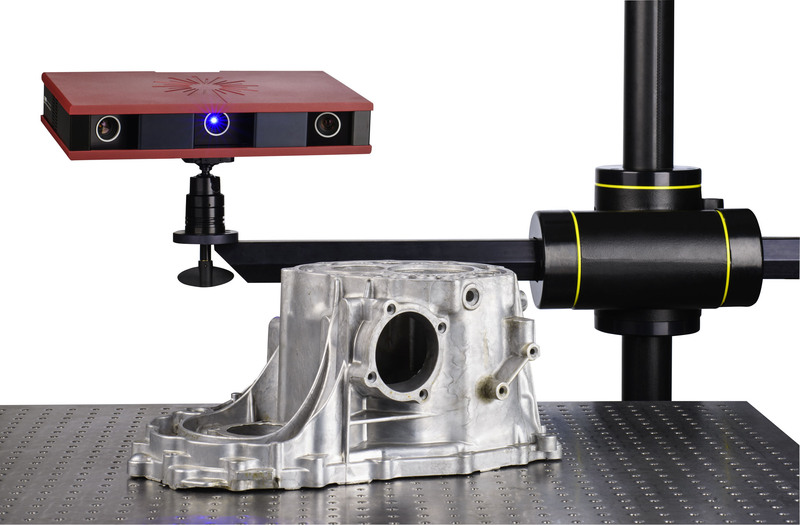 GOM is set to present ist new optical 3D scanner ATOS Core, which is ideal for digitizing small to medium-size components such as ceramic cores, cast and plastic parts for 3D printing, adaptive manufacturing, reverse engineering and 3D inspection applications. 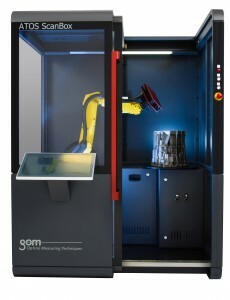 GOM shows its latest development in its successful ScanBox series for the first time. ATOS ScanBox 4105 is the most compact of the four models now available, and is especially suited to automated 3D digitizing and inspection of small and medium-size components. High value, free of charge: With GOM Inspect, GOM has provided a software package that offers a range of functionalities for mesh processing as well as inspection and analysis of 3D data – independent of the measurement system used. The free software can also be used as a 3D viewer to share measurement data with colleagues or customers. In view of the growing complexity of shapes and functions, the scanning, analysis and inspection tasks for small parts are fast gaining importance. At EuroMold 2013 in Frankfurt am Main, Germany, GOM is set to present a new sensor in this field, which is ideal for digitizing small to medium-size components such as ceramic cores, cast and plastic parts for 3D printing, adaptive manufacturing, reverse engineering and 3D inspection applications. The new sensor is small, light and stable, thanks to integration of optics and electronics in a very compact format. Its small size allows the sensor to take measurements at short working distances and in confined conditions. ATOS Core is highly versatile. The product comes in three product lines for different measuring tasks and comprises software, connecting cable and other accessories alongside the sensor head. The Essential Line is suitable for basic scanning tasks. Its focus lies on 3D scans which produce high-quality data for applications such as 3D printing, adaptive manufacturing and reverse engineering. The Professional Line is the all-in solution for comprehensive shape and dimension analysis on small to medium-size components. The Kinematics Line offers a full link to robot control, making it possible to perform automated measurement and inspection in standardized measuring cells, the ATOS ScanBox. In all three product lines, ATOS Core features the proven technology of the ATOS family. Thanks to the stereo camera setup, the sensor is self-monitoring and generates accurate and reliable measuring data. 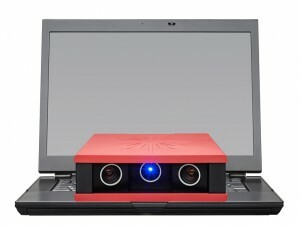 Besides this, the projection unit’s narrowband Blue Light Technology makes it possible to take precise measurements in any ambient light conditions. ATOS Core from GOM is available in seven different variants, which cover measurement fields within the range of 45 x 30 to 500 x 380 mm. The convenient sensor heads are easily exchanged to cater for different resolutions and measuring field sizes, without the need for re-calibration. This again accelerates and flexibilizes the scanning processes. With the ATOS 3D coordinate measuring system, non-contact measurements can be taken on components as well as on patterns, dies and molds. In contrast to tactile measurement technology, this method even captures complex free-form surfaces and primitives, regardless of surfaces, finishes and geometries. 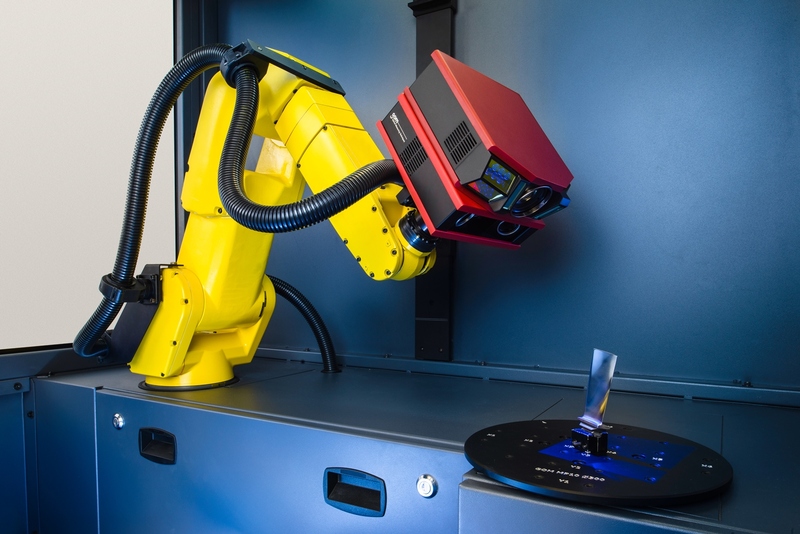 Full-field surface measurements guarantee faster first article inspection and efficient tool correction, thereby reducing development and production lead times as well as costs in design, casting, metal forming and plastics processes. 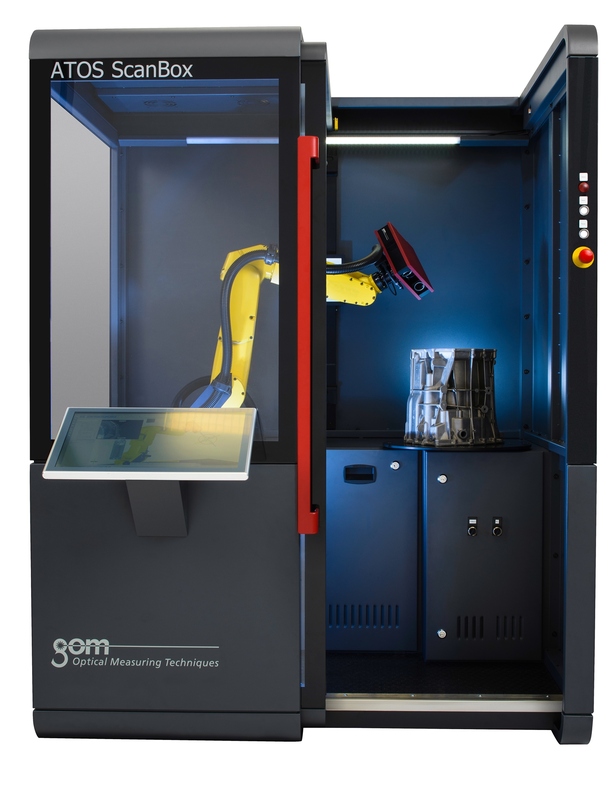 GOM is set to present its latest development in its successful ScanBox series for the first time at EuroMold 2013 in Frankfurt am Main, Germany. ATOS ScanBox 4105 is the most compact of the four models now available, and is especially suited to automated 3D digitizing and inspection of small and medium-size components. The standardized measuring cell has extremely compact dimensions, requiring a space of only two square meters. As a ready-to-use solution, ATOS ScanBox can be set up fast and is easy to integrate in the production process. All that is needed is a power supply. The measuring cell contains process-safe software solutions and hardware components. 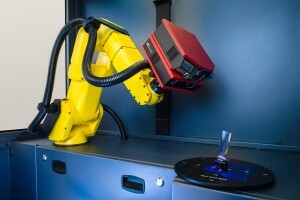 These include a robot, rotation table and image processing computer as well as industrial safety. The key component of ATOS ScanBox 4105 is a compact, robot-driven sensor from the ATOS Core series for fast, non-contact and full-field measurements. ATOS ScanBox 4105 offers new possibilities for efficient automation for smaller measurement volumes. The measuring cell is suitable for objects of up to 500 mm in size and 100 kg in weight. Possible applications include production-related quality control on ceramic cores, cast and plastic parts. The ATOS ScanBox can be moved in order to support production launch – for short distances even on its integrated wheels. Since the entire measuring and inspection processes up to the inspection report are executed fast and easily, ATOS ScanBox can be operated directly by production staff. This is made possible by the standard VMR (Virtual Measuring Room) software solution, which simulates the real environment of the ATOS ScanBox down to the smallest detail. This means that the robot can be controlled without using the robot operator panel. Besides this, measurement and inspection processes can be prepared in the VMR on the basis of CAD data without the need for a real component. GOM has developed its ATOS ScanBox specifically for automated inspection and quality assurance in production environments. The measuring cell allows trend analyses which make prompt and systematic detection of errors possible within the production process. This in turn improves company productivity. In addition, the automated measurement and inspection processes guarantee a higher throughput and thus enhanced performance in quality assurance. Ultimately the ATOS ScanBox makes it possible to establish a central quality management system, since the standardized measurement and inspection processes can be applied in the same way at different sites by different operators. As a result, the entire quality control process is made transparent and traceable. GOM Inspect is the right choice for all users who want to view process and evaluate 3D data – generated by fringe projection systems or laser scanners, computer tomographs, or other measurement systems. The download is highly attractive for CAD/CAM, CAE and CAQ professionals. The package includes all necessary tools for the shape and dimension analysis of components up to inspection reporting, but is also suitable for processing 3D data for rapid prototyping, CAD/CAM, and simulations. In addition, employees, vendors, and customers can use the software to share 3D measurement results, for faster decision taking. The GOM website offers a free download of the software and further training and information. Support material includes video tutorials as well as user instructions, sample data and a forum. National and international introduction seminars are also held on a regular basis. To register, go to www.gom.com.